Australia was in need of strong and willing young men seeking adventure and a new life away from home. The first group of more than 200 “little brothers” as they became known sailed from England on the Jervis Bay arriving in Australia on December 14th 1925. In the years up to 1947 the lads were trained for farm work at various government run training farms such as Scheyville NSW. The flow of young men first ceased in 1931 due to the depression. In 1939, 5 ships completed the journey to Australia however the migration scheme was again brought to a halt due to the outbreak of World War II. Commencing again in 1947 the Big Brother Movement sponsored over twelve thousand lads to settle in Australia up until 1982. In April 1947 the Movement purchased a 600 acre property known as “Karmsley Hills” at Bossley Park near Liverpool NSW for £15,000 – the farm was dedicated as a memorial to the little brothers who lost their lives in the war. Between 1947 and 1971 nearly 4,000 British lads were to pass through this establishment. By the late 1950’s more and more lads were arriving destined for city work rather than farming. The average age of the lads up to the 1960s was 16 years. Later arrivals tended to be up to 20 years old. In 1983, with the termination of the sponsorship scheme due to changing migration rules, the farm was sold and the funds invested. These funds enabled the organisation to evolve into the BBM Youth Support of today. Today there are hundreds of Little Brothers still in contact with BBM. BBM maintains an archive and historical records of the Little Brothers arriving in Australia from 1925 to 1982. Often this archive is the only official record that Little Brothers have of their great journey to the new land of opportunity. If you are a Little Brother, a relative of a Little Brother or just have an interest in the Big Brother Movement please call or email us at bigbrothermovement@bbm.asn.au – we’d love to hear from you! A large two story house in the Sydney suburb of Homebush was purchased in 1950 and named Gunning House in honour of Mr. Tom Gunning of Mosman whose bequest made it possible. 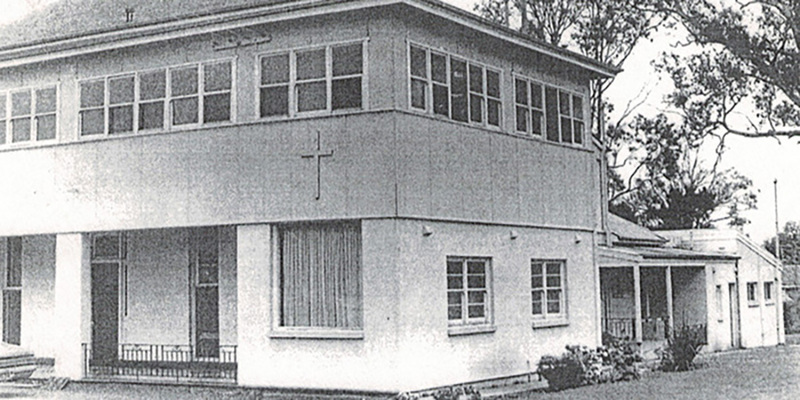 It was renovated and altered to cater for up to 30 lads at a time. A sub-committee comprising Sir John Pagan, Mr. T. F. Best and Mr R M Muller took an active part in the establishment of Gunning House. The first manager, Mr. Bob Holley, was also Employment and Welfare officer. He contributed substantially to the success of the hostel in its early years. In its first year of operation 61 newly arrived lads were accommodated for lengthy periods plus numbers of others on holidays from the country, convalescing from illness or accident, etc. By 1954 the use of the hostel had grown to the extent where 325 boys had been accommodated for varying periods during the year. The organisation had been expanded in 1946 by the appointment of three district superintendents whose task it was to secure honorary welfare officers in country areas, find suitable positions for the boys and to visit them at their jobs, to raise funds and generally promote The Big Brother Movement. One was Mr. Frank Mansell who was appointed secretary in 1947 and later joined the Board until his retirement in 1994. 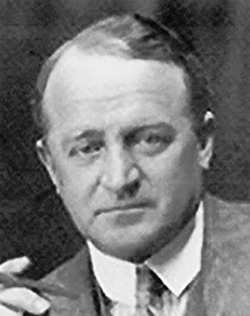 Mr. Bob Ross of Cooma was another successful district superintendent who secured considerable financial support and goodwill for the Movement.